This was erected in commemoration of the naval victory at Actium in 31 B.C. 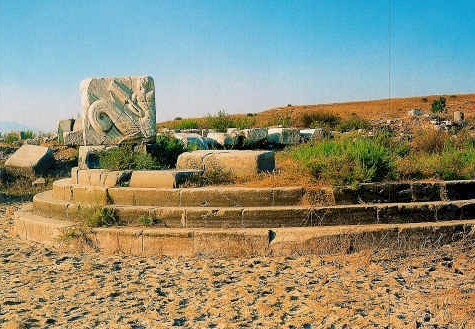 The monument is adorbed with reliefs of Triton, a figure half fish, half man. To the north you will see the ruins of the baths, while the remains of a synagogue can be seen between the small hills.